You are looking for a holydays rental close to Cassis, La Bastide de la Garde offers you a beautyfull parc of 7500 m2, located at 100 m of the sea. 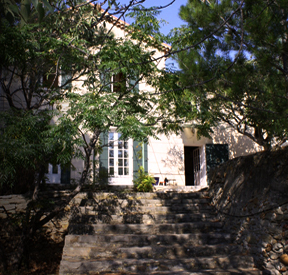 Our house is at the start of the walking treck between La Ciotat and Cassis. Ideal departure to discover Provence, we are at 10 km from Cassis, 15 km from Aubagne, 30 km from Marseille, 45 km from Aix en Provence, 20 km from Bandol. Right in the center of a natural protected area, our 2 holidays rentals, « the appartment » and « the "Atelier" , fully independant, welcome you for a short stay.